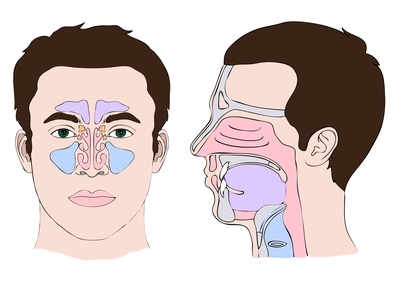 Holistic chiropractic therapies to support healthier sinus function can be enormously effective. Dr. Davis has provided substantial relief to many Nashville residents suffering from sinus congestion, and related sinus headaches and allergic reactions. Bone and soft tissue manipulation of the neck and cranial therapy to reposition skull bones is the first step toward sinus function recovery for many patients. Proper adjustments alone can bring substantial relief initially, but for long-term recovery many other elements have to be addressed. Dr. Davis immediately conducts an assessment of potential aggravating foods the patient may be consuming; completely unaware they could be aggravating or causing sinus congestion. The first foods to eliminate for return of sinus health are all milk products including cheese, ice cream, and yogurt (yes, even though it has good probiotic bacteria!) Wheat may be a sinus offender as well. Other dietary modifications are done on an individual basis. Numerous homeopathic and herbal supplements can help rid the body of low-grade infection of the sinuses. Optimizing bowel function in many people has a direct effect on better sinus conditions. In applied kinesiology, the sinuses are on a circuit that involves both the stomach and emotions. Emotional factors are assessed with applied kinesiology testing to see if they may be contributing to sinus congestion. Environmental exposure to toxins from mold is nearly epidemic in Nashville, and can contribute strongly to chronic sinus conditions. Dr. Davis conducts a careful assessment of potential environmental factors that can make recovery from sinus problems difficult or impossible and advises on possible solutions.